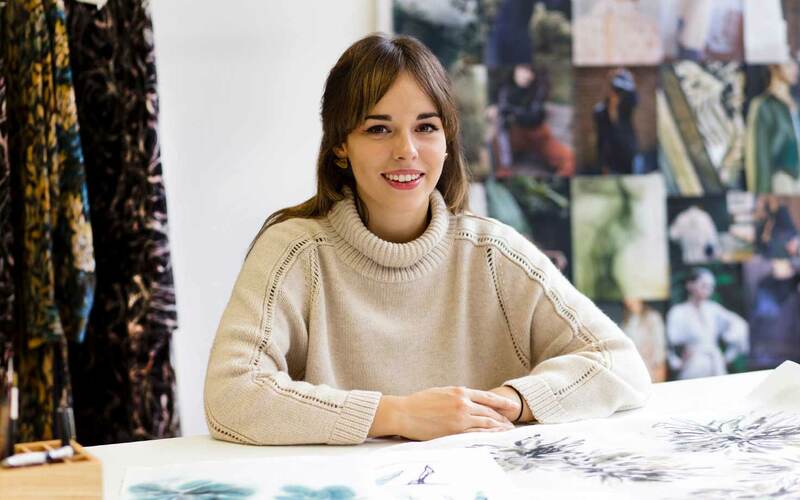 process and the inspiration behind the prints she created exclusively for our Midwinter collection. Tell us about your artistic background and what drew you to textiles. subjects, I came across textiles. at Colchester School of Art where I specialised in printed textiles. consider furthering my studies at the RCA. at the RCA grew not only my skills but my confidence. would never have met without the experience of going to show my collection at Premiere Vision. 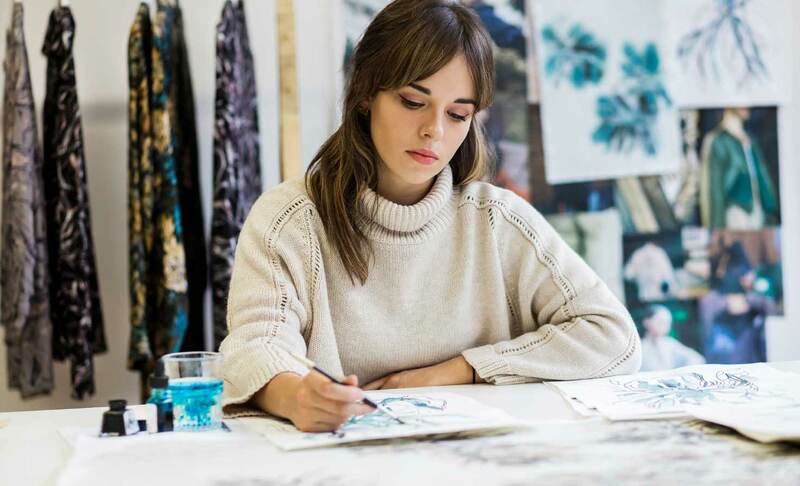 Where did you take inspiration from when designing the prints for our collection? greenery, with the distressed textures of the Barbican's concrete surroundings. flowers nestled amongst a tangle of leaves and vines. How did you create the stunning texture and movement in the prints? the building of materials to capture these. I achieve interesting textures though drawing. designs up on the computer. within them, or the vast shapes and undulations of the landscape. brushes and found sticks dipped in ink which helps create more organic marks. My favourite part of the process is colouring the designs and seeing them come to life!